I will be participating in the 4th Annual Friends of Santa Clarita Library Celebration of Local Authors on Saturday, January 14, 2017, at the Old Town Newhall Library ( 24500 Main St-at Main St. and Lyons Ave. in Santa Clarita, Ca.) from 10 AM-3 PM. I will be among the 50 authors who have been selected to display their books. Moderated panel discussions will be scheduled throughout the day by genre. HOW DO WE IMPROVE POLICE-COMMUNITY RELATIONS? I think it’s fair to say that one of the biggest issues facing our country today is the issue of police-community relations. Many experts in the field have recently expressed concern that the racial conflict and tensions between the police and the public are the highest since the outbreak of the 1992 Los Angeles riots. There have been many recent discussions in the press and on social media regarding how do we improve and solve the racial tensions and conflict between law enforcement and the public. This has especially come to light since the disturbances in Ferguson, Missouri (2014) and in Baltimore, Maryland (2015). Experts and critics analyze and discuss the need for more community based policing, more dialogue, more restraint by law enforcement, more de-escalation of force, more training, more accountability, more transparency, and a host of other issues that law enforcement needs to do to improve these relationships. As I analyze the facts of the various officer involved shootings and other tragic events that have unfolded, I see several common denominators that no one talks about, yet they explain the causal factor for a huge majority of these incidents. The majority of these encounters start with a call for service (not self-initiated contact by the officer) that involves a victim of a crime, someone who has been threatened, or suspicious actions by the suspect/party in question. Once law enforcement arrives on scene or conducts a traffic stop they are met with non-compliance (not obeying lawful orders and commands), verbal abuse, and physical resistance by the suspect. The suspect is usually armed (gun, knife, etc.) or attempts to disarm the officer of his or her weapon. The suspect attempts to flee or initiates an attack on the officer, which usually dictates how the encounter and incident will progress. Unfortunately, the officer must take drastic action to protect himself against the suspect. Although the above mentioned issues, such as more dialogue, more training, more restraint etc., are important and necessary considerations, none of them will correct or eliminate the violent behavior and aggressive actions taken by the suspect. More times than not what is in question is the officer’s response to this challenge, not the actions or behavior of the suspect. Some treat these incidents as if the officer arbitrarily engaged the suspect without cause or did not have a valid reason to defend himself. This is absolutely mind boggling! Where are the morals, values, and common sense of society, and most importantly of our leaders and public figures who comment publicly about these incidents? We need to be careful regarding our expectations of police officers and be aware of reality when dealing with human beings who are asked to do one of the hardest jobs on a daily basis. No other occupation is so heavily scrutinized and asked to be as transparent that deals with one’s life and liberty in a civilian setting. Dealing with people on one of their worst days of their lives, who exhibit unpredictable behavior in deadly situations, is an inexact science. We must not forget this no matter how great the political or public pressure. Especially, if we want to attract and retain people to the profession who have the ability, desire, ethics, judgment, and common sense to be a first rate law enforcement professional. To follow me and or purchase my book, “Never Again”, please go to my website- http://www.billcweiss.com. As a retired Lieutenant and 32-year veteran of the Los Angeles County Sheriff’s Department, Bill Weiss worked various patrol, custody, administrative, investigative, and special assignments. He has been an Incident Commander for several major tactical incidents. He is a graduate of the University of Southern California, with a Master’s degree in Public Administration. The Ferguson Effect: Fact or Fiction? There have been numerous recent reports regarding a significant increase in crime, especially violent crime, in major cities throughout America. For anyone who has been following the debate around police-community relations, specifically the war on police and the “Ferguson effect”, this should not be much of a surprise. Is this fact or fiction? The Ferguson Effect is basically the idea that increased scrutiny of police has led to an increased crime or murder rate in major U.S. cities. It is regarded as the theory or thought that protests against police shootings and use of force incidents have made police afraid of doing their job and what they need to do to keep communities safe, which has led to a rise in violent and other crime. The belief is that officers are backing off proactive policing and criminals are emboldened, while activists and politicians denounce pedestrian stops and public safety enforcement as racist. The demand for more transparency and accountability in law enforcement and the constant challenge to officers’ credibility while performing their daily functions, especially concerning incidents involving the use of force, continues to bring this topic to the forefront. I believe that police across the nation are still actively doing their jobs, but they may be doing it in a different manner, with different techniques, and with less aggressiveness. These methods may be less effective in the long run, which may be affecting the crime rate increase that has been recently reported. Crime may be going up in different parts of the country for different reasons, but there is definitely a link to some of this increase to the theory of the Ferguson Effect. To what extent is still being debated by many experts. This crime increase is also connected to how the public interacts with law enforcement. Cops are not perfect. When an officer or department is out of line and violates the law they need to be held accountable and criticized. To the contrary, when we criticize an officer for defending himself against someone who is trying to take his duty weapon from him and he is attempting to stay alive during the attack, then we have a major problem as a society. Let us not forget the importance of holding these individuals accountable, especially those who fail to follow lawful orders, and exhibit unpredictable and violent behavior. This should also include our leadership and public figures, and those in positions of power, influence, and authority, to say and do the right things. The number of police officers killed in the line of duty is up 70% over this time last year in America. Although the rates fluctuate from year to year for various reasons, what is quite telling is the dramatic increase in the number of ambushes and surprise attacks on law enforcement officers. As I review the events and incidents over the last few years since the events in Ferguson, Missouri, in 2014, to the recent developments in the Baltimore, Maryland trial (where all six police officers were acquitted or had charges dropped in the death of Freddie Gray), I guess one should not be too surprised. With the anti-police stance and rhetoric taken by the Black Lives Matter movement, the lack of genuine and heartfelt support seen by some leaders during the current presidential campaigns, and the rush to judgment and premature shaping of public opinion created by several public figures when discussing violent encounters between police and the community, once again one should not be surprised of the current situation. A lack of respect, dignity, and basic values has also been displayed repeatedly across America in many ways, such as in the form of flag burning, violent protests, and home grown and lone wolf acts of terrorism. Just recently at the Democratic National Convention a female police officer at the podium asked for a moment of silence for the police officers who have been recently killed and her request was met with several voices in the crowd yelling “black lives matter”. One could wonder if some of these egregious acts could be contributed to a decline in the home and parental skills, a decline in our educational system, a lack of public support for law enforcement and public safety from several key public figures and institutions, and or a break down in the criminal justice system, just to name a few. The deadly ambushes of police officers in Dallas and Baton Rouge and the police slayings in Kansas City, and recently in San Diego, have raised the fears of violence against law enforcement. This does not include officers from Georgia to Michigan who have been shot in incidents that have drawn less attention, but they have added to the growing sense that it is a dangerous time to be a cop. A heightened level of anxiety definitely exists, especially in light of the manner that police officers have been slain in the line of duty. The FBI study and statistics on police offices slain over the time period of 2005-2014, show the following areas in order were the most lethal situations: arrests, traffic stops, investigating suspicious persons, disturbance calls, unprovoked attacks, tactical situations such as barricaded suspects, and ambushes. This year to date, according to FBI (at the time of this writing), 34 officers have been slain. If the killings continue at the same pace, the total for the year would be 59. This is approximately 44% more than last year, which was one of the safest for officers in decades. Year to year, the number of officers intentionally killed changes drastically. From 1990-2014, the yearly average for officers killed was 64. What makes 2016 stand out is the manner (surprise pre-planned attacks targeting cops with more sophistication) in which the officers have been attacked. Public figures who knowingly speak of violent encounters with law enforcement without the facts, either due to public pressure, or who try to capitalize on a situation for their own interest, create an environment of false expectations and anger. This develops into situation where the public, who was made initially to believe something otherwise, can’t handle the truth when the final investigations conclude differently. There have been recent discussions and movements to create a new national standard for when police officers can use deadly force and how de-escalation of force techniques should be taught. This debate also includes a review process to determine whether an officer could have done more to avoid violent encounters. Are we recreating the wheel here? In May of 2016, a bill called the Preventing Tragedies Between Police and Communities Act of 2016, was proposed by Rep. Gwen Moore (D-Wis.). Moore indicated she wanted officers to use force that is proportional to the situation and to give police officers additional training assets with regard to encounters that don’t necessarily have to end up with a deadly use of force. 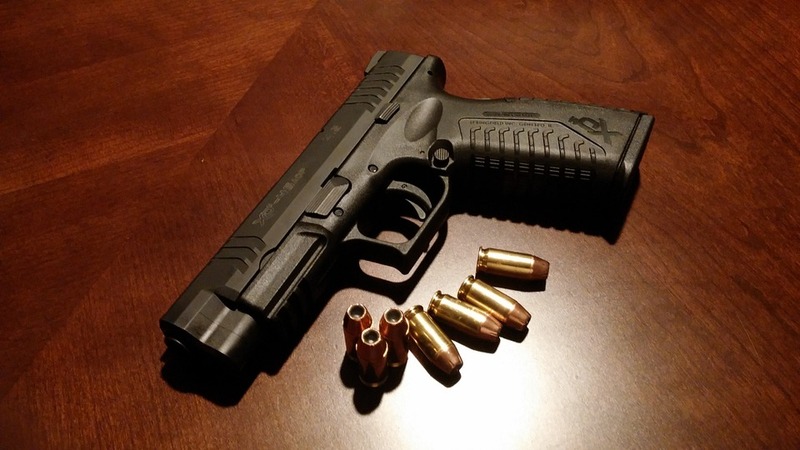 This legislation is the one of the latest measures that has been introduced since the fatal police shooting of Michael Brown in Ferguson, Missouri, in 2014. The call for a de-escalation of force by police agencies is really nothing new from what has been previously taught or discussed. For decades, new policy and procedures have been implemented with the goal of de-escalating force and improving the safety of the public and police officers. The recent terminology may have changed from less lethal to de-escalation of force, but the idea and concepts are the same. The use of mace, OC spray, tasers, verbal judo, the Arwen, batons, saps, long poles with nets for PCP suspects, stun-bag/bean-bag shotguns, team takedowns, weaponless defense training, crisis intervention training, crisis negotiating teams etc., are some of the tools, tactics, and techniques used for decades and modified as time has passed. All of these involved the idea of de-escalating force for the mentally ill, drug crazed suspects, or the resistive and violent suspect alluding capture. The demand for more transparency in law enforcement and the constant challenge to officers’ credibility while performing their daily functions, especially concerning incidents involving the use of force, are of course extremely important and vital. New tools and additional training is great. The emphasis on the preservation of life is a must. Do we need to create more legislation, more committees and more commissions, that already are in place, to review and regulate force used by police officers? Do we need to create more avenues of second guessing officers who face deadly threats with split-seconds to act? How do we judge the mindset and not just the tactics of an officer to determine if he or she properly attempted to exhaust all efforts to defuse a situation before using force? We need to be careful regarding our expectations and be aware of reality when dealing with human beings who are asked to do one of the hardest, if not the hardest job there is on a daily basis. No other occupation is so heavily scrutinized and asked to be as transparent that deals with one’s life and liberty in a civilian setting. Dealing with people on one of the worst days of their lives, who exhibit unpredictable behavior in deadly situations, is an inexact science. We must not forget this no matter how great the political or public pressure. Especially, if we want to attract and retain people to this profession who have the ability, desire, ethics, and judgment to be a first rate law enforcement professional. To follow me please go to my website- http://www.billcweiss.com. What is Happening to Police and Community Relations? As I look at what is happening to police and community relations in the last two years since the Michael Brown shooting in August of 2014 in Ferguson, Missouri, to the recent tragedy in Dallas last week and the several other attacks on law enforcement since, several factors and issues play out. While police-community relations will always remain a controversial and hot topic, as they have been for decades, it is important for both law enforcement and the community to be equally accountable for their actions. People analyze and discuss the need for more community based policing, more dialogue, more restraint by law enforcement, more de-escalation of force, more training, more accountability, more transparency, and a host of other issues that law enforcement needs to do to improve these relationships. As I analyze the facts of the various deadly officer involved shootings and other tragic events that have unfolded, I see some common denominators that no one talks about, yet it explains an overwhelming majority of these issues and problems. The majority of these encounters start with a call for service involving a victim of a crime, someone who has been threatened, or suspicious actions by the party/suspect in question. This also includes traffic stops. Once law enforcement arrives on scene or conducts the traffic stop they are met with non-compliance, verbal abuse, and resistance by the suspect. The suspect is usually armed (gun, knife etc.) or attempts to disarm the officer of his or her weapon. Unfortunately, the officer must take drastic action to protect himself and others against the suspect. Although the above mentioned items (more dialogue, restraint, and de-escalation of force etc. ), have some benefits and are continually heard by law enforcement as areas it needs to address in order to improve police-community relations, none of them will correct or eliminate the violent behavior and aggressive actions taken by the suspect. We continuously hear people allege racism and harassment during traffic stops and detentions. If this is the case then the smart person would follow the orders of the officer and later present their facts and file a formal complaint instead of resorting to violence. Also, do we as a society, through our various past acts, rights and laws, allow people to believe they have a false sense of entitlement? When we immediately cite out and release demonstrators and protesters within hours of being arrested for blocking traffic resulting in the closure of freeways and highways, what message does that send? Should we be surprised that we have so many protests turning into violence and chaos? Should these same demonstrators be allowed to throw rocks and bottles at police, pull people from their vehicles, throw concrete and rocks through vehicle and business windows, and destroy and steal property? 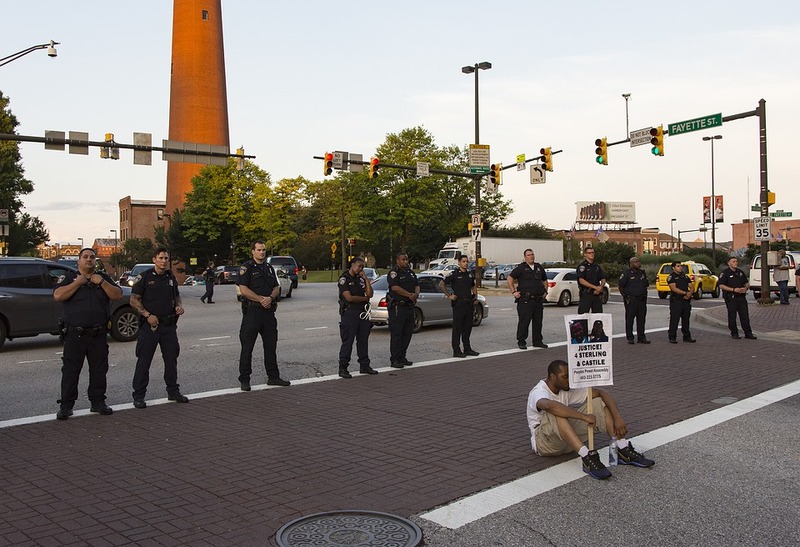 Is this a peaceful demonstration displaying a desire to improve police-community relations while endangering lives? Do Public Figures Prematurely Shape Public Opinion? Do initial public comments by public figures prematurely shape public opinion, specifically incidents involving the deadly use-of-force by law enforcement? 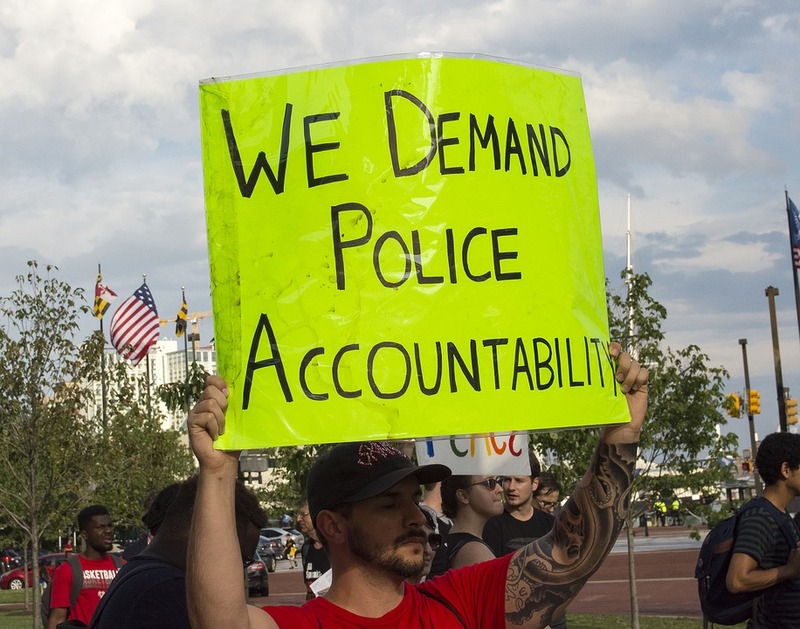 The recent and still ongoing trials of six police officers indicted in the in-custody death of Freddie Gray in Baltimore, Maryland, is a great case in point. 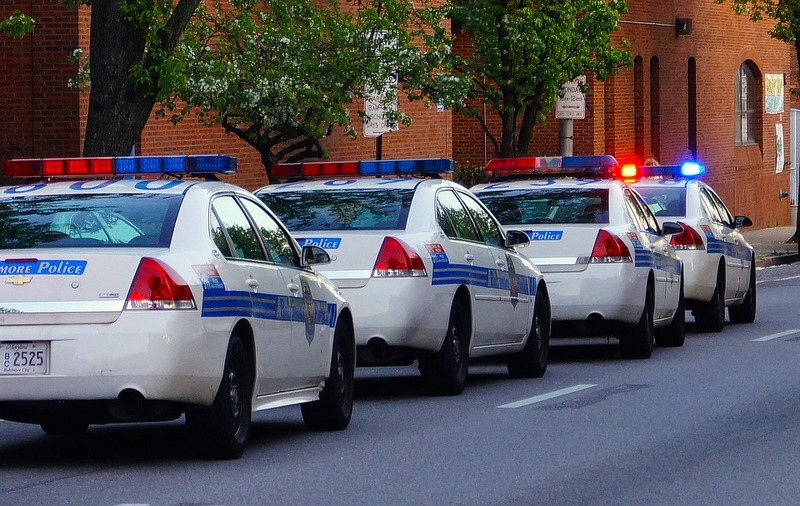 On June 23, 2016, a Baltimore judge overseeing the trials acquitted Officer Caesar Goodson Jr., who was driving the transport van in which Gray allegedly sustained fatal injuries to his spinal cord. Gray died one week after being arrested on April 19, 2015. Goodson became the second officer in the case to be cleared. Officer Edward Nero was previously found not guilty of reckless endangerment and assault during a second trial. This was on the heels of the first trial ending in a hung jury. The judge indicated there was not enough evidence to prove that Officer Goodson provided a “rough ride” for Gray who was not seat belted in while handcuffed inside the van. Witnesses testified that Gray began screaming and kicking so violently that he shook the van prior to being transported. These acquittals throw the rest of the cases into question since the remaining officers are charged with similar but lesser accusations. Demonstrations have occurred outside the courthouse as many expressed frustration at the not-guilty verdicts. Others are calling for the remaining officers to have all charges dropped. Ironically, Baltimore State’s Attorney Marilyn Mosby drew widespread praise and condemnation after charging the six officers in May 2015, with murder and manslaughter charges within weeks of Gray’s death. Civil rights activists praised the prosecutor for swift and comprehensive action. This action was after demonstrations had occurred in Baltimore against police brutality, which were violent at times, and included rioting, looting, and arson after Gray’s funeral. This is one of several recent incidents, including the shooting death of 18-year old Michael Brown in 2014 in Ferguson, Missouri, where activists cheered the quick action of state officials. As you may recall, that incident in Ferguson resulted in violent protests that included vandalism and looting for more than a week and ended the career of Officer Darren Wilson, even after he was cleared of civil rights violations and credible witnesses and forensic evidence corroborated his account. Now in this particular case involving Gray, some activists and legal experts are suggesting that Mosby acted too quickly and did not leave enough time for a thorough investigation. Also, at the time of this writing at least two reports, which have not been confirmed to my knowledge, have surfaced indicating that Mosby had made some incriminating public statements regarding her true intentions for filing charges so quickly against the six officers and revealing some personal prejudices. She is also being accused of a rush to judgment, making false statements, withholding evidence from the defense that was exculpatory, and is possibly the subject of disbarment charges filed against her. “Initial public comments call in to question and assume the officer did something wrong, but the final results of the investigations, even when there are grand jury reviews and a coroner’s report, usually conclude in a finding to the contrary. This displeases many who can’t accept the facts of what actually occurred. Many people are outraged and want to hear the officer was wrong, since they have been told from the beginning to believe he or she was wrong. Much of this comes from our leaders, activists, and politicians when they are interviewed in the media.” To see this entire article please go to my blog/recent posts on my website-http://www.billcweiss.com. Public figures who knowingly speak without the facts, either due to public pressure, or who try to capitalize on a situation for their own interest, create an environment of false expectations and anger. This develops into situation where the public, who was made initially to believe something otherwise, can’t handle the truth when the final investigations conclude differently. This is extremely dangerous. Although I understand some of the basic thought process articulated in the arguments, in today’s world this is far too impractical and lacks common sense. If police did not legally detain and question possible suspects, conduct traffic stops, and enforce traffic laws, this world would be in a much worse place than it is now. The amount of crime that has been solved by lawful detentions, solid investigations, and traffic stops is significant. These encounters are a major part of the backbone of what law enforcement is about. For example, recently a suspect in a 1989 Hollywood rival gang killing was arrested after California Highway Patrol officers stopped the vehicle he was driving in Salinas after they noticed a headlight wasn’t working properly. They arrested him on suspicion of being under the influence of drugs. Initially, officers weren’t aware he was wanted on murder as he had assumed different identities. During booking his true identity was discovered. 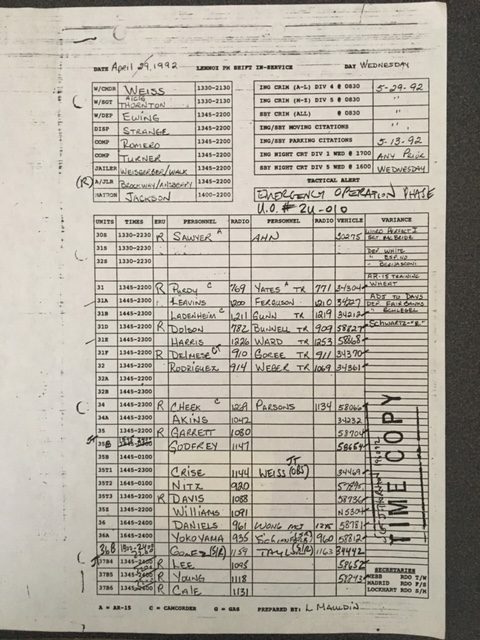 His fingerprints linked him to the October 1989 killing. He had been on the run for nearly 26 years. I find it hard to fathom a society where we are discouraging police officers from conducting traffic stops, detentions, investigations, and law enforcement duties in general, without proposing any viable option.